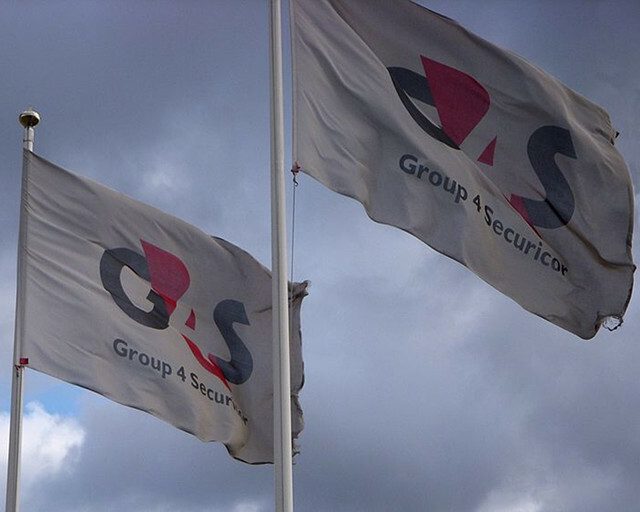 G4S aims to keep the flag flying for Google Apps. Image by Holger Ellgaard, 2009 (Creative Commons License: Attribution-Share Alike). G4S, the global outsourced services provider, has decided to cut its IT spending by turning to cloud-based computing. 70,000 of its 620,000 staff will be switching to Google Apps for Work, which offers productivity software at a much lower cost than paying higher prices for Microsoft Office packages. Furthermore, G4S’ switch to cloud computing also means more manageable IT infrastructure. It also means a greater degree of standardisation across the board – important for a conglomerate of G4S’ size. Besides increasing their profits, Google Apps has accessibility in spades which makes economic sense. Being platform agnostic means G4S could do away with Windows 10 and opt for Chromebooks, or Android mobile devices. Its security guards could have access to Google Apps via Android smartphones. Being able to set privileges at a localised level (i.e., within a given location or by staff positions) is available. G4S’ endorsement of Google Apps is a glowing testimonial for Google’s productivity suite and associated apps within Google Drive. Their plan to standardise IT services has seen a 50% reduction in G4S’ IT spending, with fewer product licences to purchase. It allows for collaboration between fellow staff members and improved workflow patterns. Whether your company has 66 or 620,000 employees, Google Apps for Work offers enough apps for general use. With us at Net66, it is a good all-purpose office suite. Most of our blog entries are drafted via Google Apps, courtesy of its word processing and spreadsheet apps. Gone are the days when you had to install MS Office on every machine with a CD-ROM (some of us are old enough to remember floppy disks). Better still is the fact you can try Google Apps at home and (if you’re able to) work from home, and share with your company’s Google Drive account. If you have an Android device, you’re almost there. As businesses try to cut overheads and costs further, we could see cloud computing options rise in popularity. For similar reasons to G4S’, Peterborough City Council have adopted Google Apps, keeping public sector IT costs to a minimum. In future years, experience with Google Apps and the online version will become marketable skills for admin assistants, in the same way that MS Office (or Word Perfect) was for several years. Though Google Apps for Work hasn’t been met with universal appeal, many of G4S’ employees, according to Nick Folkes, have grown to like the new system. In about five years from now, Google Apps and similar cloud computing systems would be as common as Tesco Express stores and Starbucks Coffee bars are in our city. Don’t be surprised if other large companies follow G4S’ lead.